FOXWEDGE (AUS) (Bay 2008-Stud 2012). 5 wins-2 at 2-to 1200m, MVRC William Reid S., Gr.1. Brother to SW She's a Fox. Sire of 143 rnrs, 55 wnrs, inc. SW Volpe Veloce (ARC Eight Carat Classic, Gr.2), Foxplay, Kentucky Miss, SP King of Spades, Seafront, Star Empire, Urban Fox, Aghna, African Rainbow, Petition and of Colosimo, Roy's Magic, Volpino, Elliptical, A Mist Opportunity, Arizona Wildcat, Barjeel, Eastern Paradise, Foxy Housewife, etc. His oldest progeny are 3YOs. PLAIN MAGIC, by Magic Albert. 7 wins to 1300m, A$421,950, BRC J Cadell Garrick H., L, Sun Ray Systems Quality H., BTC Dirod Homes Noble House H., QTC Harvey Norman H., GCTC Magic Millions H., BRC Thebigscreencompany.com.au H., BTC Clean Domain H., 2d BRC Montrose Access H., BTC Onesteel Reinforcing 3YO S., QTC Ethereal H., 3d QTC Queensland Day P., L, 4th GCTC Silk Stocking H., L. This is her third living foal. Her second foal is a 2YO. Dam of one foal to race. PLAIN MAGIC (Magic Albert). 7 wins. See above. Mistry. 4 wins to 1200m, MRC Blue Diamond Entries H., 2d MRC Teppo H., 3d MRC Holmesglen H., Impulsive H.
Magic Glow. Placed at 3 in 2015-16 in Aust. Cosmic Force - Cosmic Prince (Sing.). 7 wins-1 at 2-from 1000m to 1800m, STC Paul Williams & Leo Barry H., AJC Energy Australia H., Singapore TC Benchmark 67 H., Class 5 H.-3 times, 2d Singapore TC Kranji S., Benchmark 81 H., Class 3 H., Benchmark 67 H., Class 4 H., Class 5 H., 3d Singapore TC Class 3 H., Class 5 H.
Fine Mist (Good Journey). 6 wins-1 at 2-to 1200m, A$239,550, to 2015-16, ATC Pro-Ride Fly H., Drummond Golf H., Blackwoods Gearwrench H., Pro-Ride H., 2d Scone RC Denise's Joy S., L, ATC Tab.com.au H., Bradford Soundscreen H., 3d Qld Tatt's RC Arcade Classic, L, 4th ATC Sapphire S., Gr.2. Lady Red. 4 wins from 1600m to 2200m, AJC Clonmel H., 2d QTC Central Cleaning Supplies H., 3d AJC CVD Veteran Members H. Producer. Glow Misty for Me. 2 wins. See above. Rainbow Dancer. 6 wins-1 at 2-to 1200m, 3d MRC Ashleys Foresters Arms Hotel H., MVRC Paulene Maree H., Pedro's Pride 2YO H. Producer. Allegheny. 4 wins-1 at 2-to 1100m, 2d AJC Entertainment Centre H.
Gatecrusher. 3 wins from 1550m to 2400m, 2d MVRC Mitchelton Wines H., 3d AJC Convention Centre H., STC TJ's Champagne Bar P.
Misty d'Bird. 2 wins at 1200m, 1350m, 2d STC Beverley Hills Hotel H.
Misty Power (Papal Power). Winner. See above. Another Misty (Al Hareb). 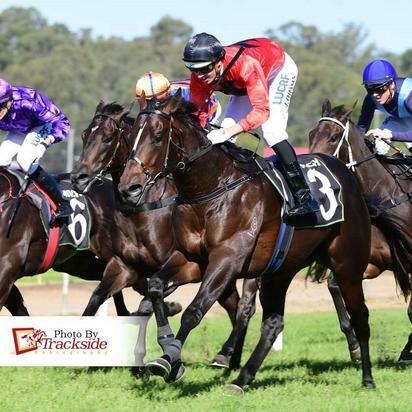 5 wins at 1100m, 1200m, A$117,495, STC Rydges Parramatta H., Vouris & Bell H., 2d AJC Breeders' Classic, L, STC Triscay S., L, Birthday Card H., L, AJC AAP H., STC Sanyo Panthers H., 3d City Tatt's RC Matthew Talbot Hostel H., STC Pony Express H. Producer.